It's sure nice to see you again, Captain Syverson! 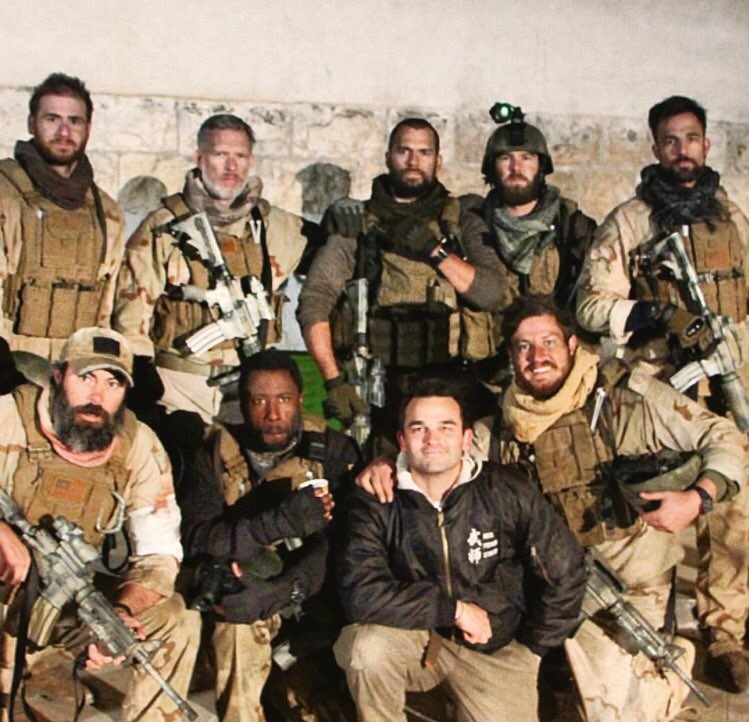 We've only gotten a few glimpses of Henry as he filmed Sand Castle in Jordan, but could he already be done? -- It certainly looks like it based on that update by Matt Sinnreich. Actor Neil Brown Jr. also posted a farewell kinda caption with his latest photo from the set. And check out this neat comparison of the actors and the troops they are portraying in the film, via screenwriter Chris Roessner's wife. While filming is reportedly continuing through the end of the year, it appears some of the cast is done with their work. Congratulations to those headed home, and if that includes/included Henry, we can't wait to see him back in London for the holidays. Sand Castle is expected to be released sometime next year. Is this a cameo and a supporting role? Seems he weird he got done so soon. I don't think his role was supposed to be that big. Nicholas Hoult's character is the lead role. He might not be done. He might stay until filming wraps. Only the people who are done filming their parts are going home, and we're not sure if he's one of the ones going home. Hopefully not, and he stays until filming wrap. We'll find out soon, I guess if there are any sighting of him in London, We'll know. IM HAVE SOME PHOTO FOR THIS FILM ON MY PROFILE ON FACEBOOK . WWW.FACEBOOK.COM/GENERAL.FASATLEH BUT I DONT KNOW WHEN SHOW THIS FILM THANK YOU .